Our new Oatmeal soap has Oatmeal, Calendula and a hint of Cinnamon in it. Our Green Soap with Olive Oil and Bay Laurel Oils. 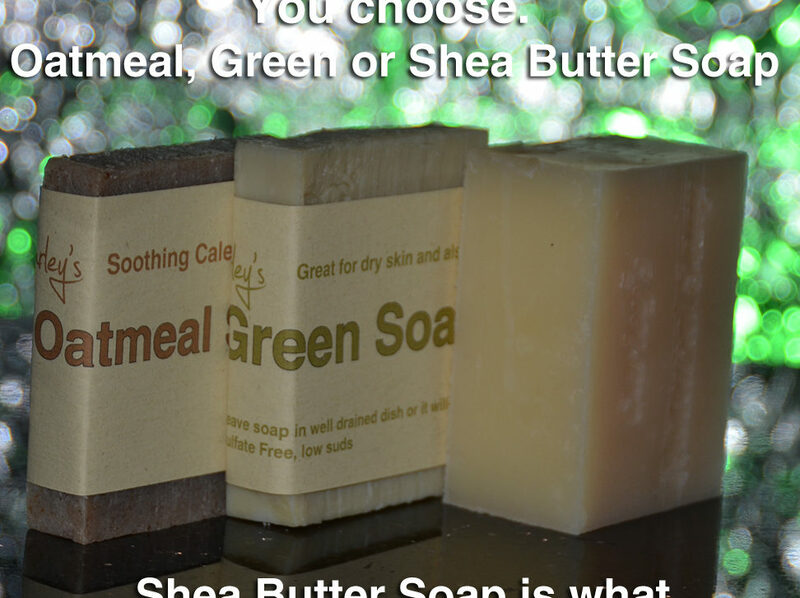 Our Shea Butter Natural Soap. Stock Up, Buy 4 full size items and get 25% off. Single bars of soap and make up samples don’t qualify for this discount.